Our weekly radioshow is a round-up of all the best Nerd news from around the planet - moives, games, comics, toys, TV and everything in between. The Following The Nerd Live Show II: Episode 20 Valentine's Day. Bummer. The Following The Nerd Live Show II: Episode 18: The Power of Patty doesn't compel us! The Following The Nerd Live Show II: Episode 17: Ghostbusters 3! 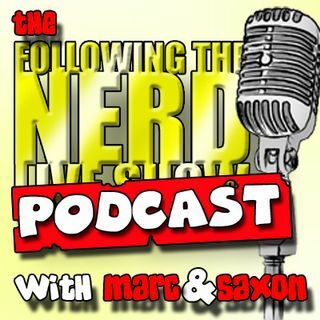 The Following The Nerd Live Show II: Episode 16: Marvel-ous news! The Following The Nerd Live Show II: Episode 15: The 2018 Round-up!